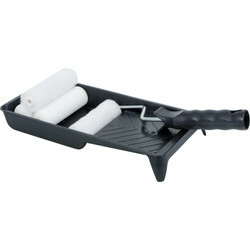 Apply paint seamlessly and in all areas of the domestic or commercial property with our range of rollers, frames, trays and extension poles for all painting and decorating purposes. 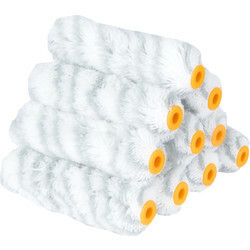 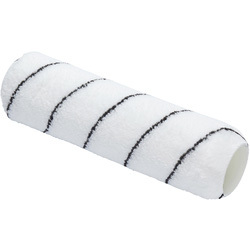 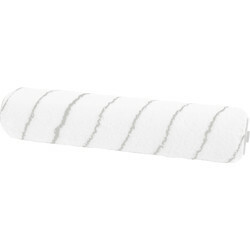 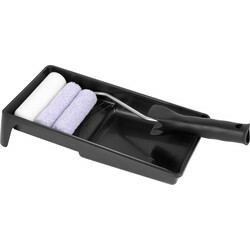 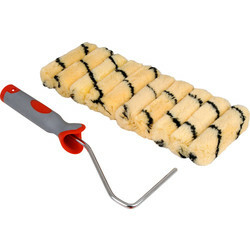 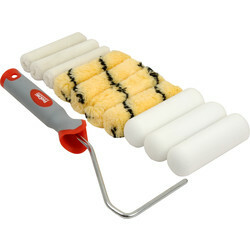 Paint rollers permit easy application of paint to walls and ceilings rapidly and efficiently. 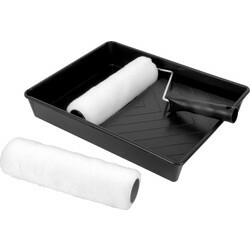 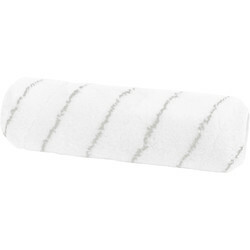 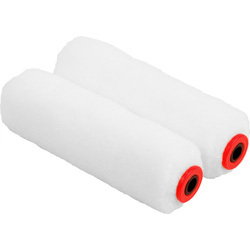 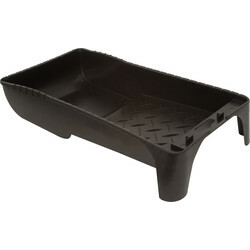 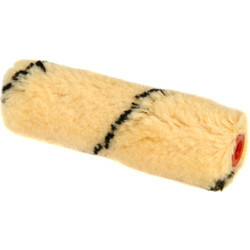 Toolstation supplies a variety of paint rollers including masonry rollers, corner paint rollers and foam paint rollers. 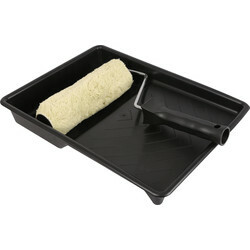 Browse our trusted range of paint roller products such as Nour rollers, Prodec paint rollers, and the Rota paint roller kit. 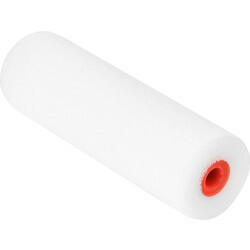 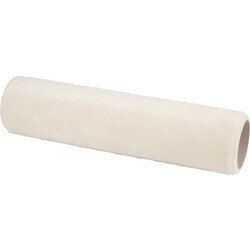 For different types of paint and purposes, there is a variety of paint roller types including the foam paint roller. 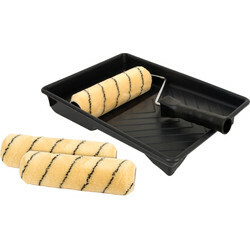 To reach smaller areas, switch your roller sleeves to our Prodec mini paint roller sleeves, Prodec advance roller sleeve or Decoroy mini paint roller sleeves. 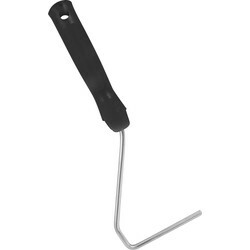 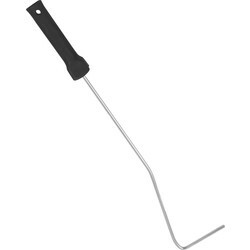 Extend the reach of painting and decorating with an extension pole for those hard to reach areas and ceilings. 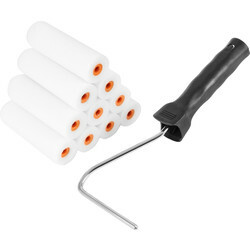 Choose from the Prodec Advance Super Lock Paint Roller extension pole or the Prodec Fireglass & Aluminium roller extension pole alongside many others. 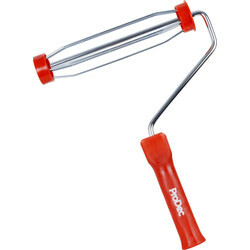 We have a wide range of 9" roller frames from Prodec, Prodec Advance and Nour, and unique 12" roller frames from Nour. 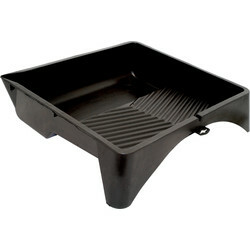 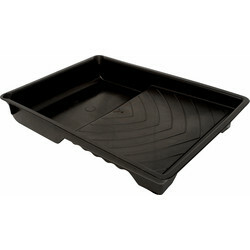 Toolstation offers free delivery for orders over £10 or click and collect at your nearest branch. 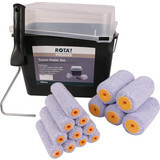 47225 Stanley Mini Roller Set 4"
78450 Rota 4 Piece Paint Roller Set 9"
80605 Prodec Masonry Roller Set 9"
78954 Prodec Mini Roller Set 4"
71830 Prodec Roller Set 9"
60253 Rota Mini Roller Set 4"
91088 Prodec Roller Set 9"
77982 Prodec Mini Roller Set 4"
69138 Rota Professional Silver Stripe Mini Roller Sleeve 4"
70279 Prodec Roller Frame 9"
17636 Prodec Advance Ice Fusion Roller Sleeve 4"
61880 Mini Roller Set 4"